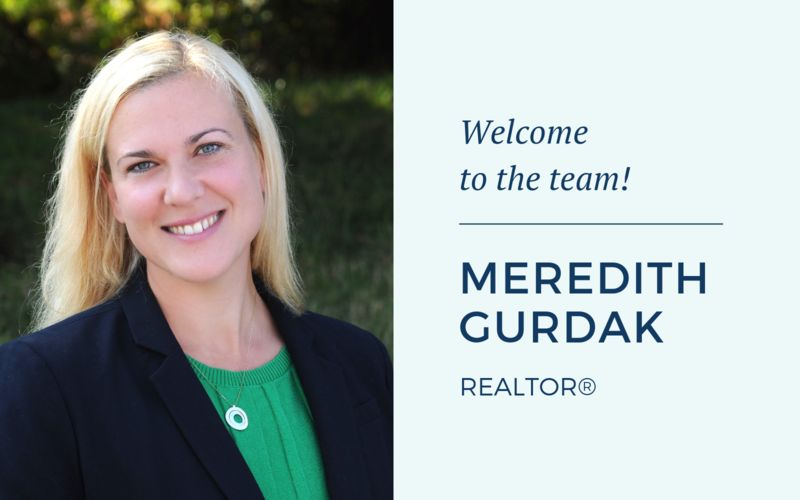 MIDDLEBURG REAL ESTATE | ATOKA PROPERTIES ANNOUNCES THE ADDITION OF REALTOR® MEREDITH GURDAK TO OUR MIDDLEBURG OFFICE LOCATION, PROUDLY SERVING HOME BUYERS AND SELLERS. Meredith has witnessed firsthand the change and development in the Northern Virginia landscape. She grew up in the Springfield/Burke area of Fairfax County and over the years moved further west to Reston, Herndon, and then into Loudoun County via Ashburn, before settling with her family in Purcellville. Meredith’s previous career in the Telecommunications industry, specifically software testing and implementation, taught her to be detail oriented, proactive and a strong advocate for her clients, which is essential to serving her clients in Real Estate. As your REALTOR®, Meredith will be an advocate for you. Whether you are buying, selling or renting, she will work tirelessly to promote your best interests. If you are selling, she will work with you to get you the best price, in the least amount of time by utilizing state-of-the-art technology, high-quality marketing materials, and the personal network she has built over her years in real estate and that of Middleburg Real Estate. If you are buying, she will work hard to provide you with accurate market data and her expertise to inform and assist you so you can be a well-equipped buyer with the strongest possible negotiating position. She is also well versed in the intricacies of land acquisition and commercial real estate. Meredith understands that buying and selling real estate can be stressful, she has moved with her family seven times in eight years, both internationally and cross country. Now, after establishing deep roots in Purcellville, she works hard to lower your stress level and make your experience as pleasurable as possible by open communication, so you never have to “wonder how it’s going”. When not assisting clients, Meredith enjoys spending time with her husband and two sons, volunteering in the community and enjoying all the Northern Virginia area has to offer. CONTACT INFORMATION FOR MEREDITH CAN BE FOUND HERE.